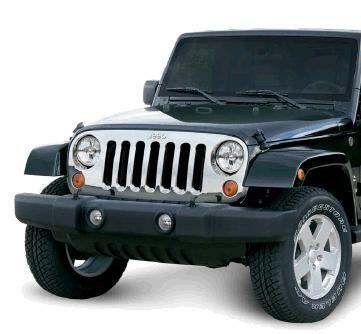 At JustforJeeps.com, we know you take pride in your ride and want to personalize its looks, so we carry quality accessories so you can create just the right style for your 2007-2018 JK Jeep Wrangler. This chrome grill is a good way to add some shine and dress up your Wrangler. The chrome grill is designed for quick and easy installation and it will not affect the flow of air into the radiator or get in the way of opening or closing the hood. All parts are designed to meet Chrysler standards for durability. Grill will not adversely affect engine airflow or impede the opening and closing of the hood.